Johnny English Strikes Again Review: Just another cash-grab? – AiPT! Johnny English Strikes Again is completely basic and unadventurous at it’s core. After the commercial success of Johnny English Reborn, it was inevitable that another film would come along. The first film in the series was not memorable, but offered a few laughs to make it a passable distraction. Reborn’s large budget created some bigger, and more elaborate physical gags. Strikes Again is completely basic and unadventurous at it’s core, and mainly sticks to the elements of it’s predecessors. I personally lack faith in the comedy genre. It has let me down an immeasurable amount of times. Throughout film history, comedy has never had the best run anyway. Humor is so subjective between each person, it makes it hard to pinpoint a formula that works for everyone. Johnny English has played it smart like many other modern comedy sequels by finding a niche target audience. 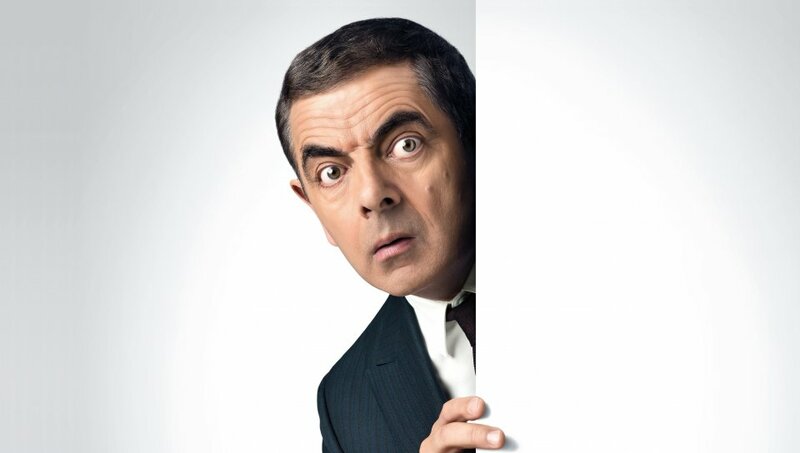 Johnny English has now betrayed it’s audience – and anyone else for that matter – by being unable to tell any funny or original jokes. Rowan Atkinson’s facial comedy is put to a disappointing waste that only the youngest of children will chuckle at. The slapstick is criminally unfunny. The only good slapstick moment in the film, was wasted in the trailer. The majority of jokes in Strikes Again are blatantly predictable. In fact, this film could be pretty funny if whole chunks of exposition were removed. Before each joke, the film will over-explain what will happen next, completely spoiling the gag before it even happens. This repetitive cycle of over exposition makes Strikes Again a chore to watch, even though it’s only an hour and a half. I will say, the only enjoyable part of Strikes Again, is a single unexpected dance scene, that caught me completely off guard. If only it had continued the chain of unpredictability. This film is very clearly a cash grab, and it shows. Strikes Again re-uses the past two film’s spy spoof themes, with poor results. The plot is very similar to it’s predecessors, except it removes anything redeemable. The first Johnny English film had the maniacal villain Pascal Sauvage, played surprisingly well by John Malkovich, whilst Strikes Again has a Mark Zuckerberg impersonator. You can clearly see that this film wants to elicit laughs by being relevant to the modern day. It’s intentions are very evident in it’s villain, Jason Volta, a tech company CEO who wishes to rewire the world’s entire internet, to his own business. The movie approaches technology in a way that is neither interesting nor original. Jason has zero motive for his actions, and uses uninteresting layman terms in his portrayal of hacking as a threat. The spaghetti dinner script doesn’t help Jason’s character much, giving him stock-standard villainous lines. A cliched antagonist could actually be good for Strikes Again’s spy-spoof nature. However, the clear effort that has been put into trying to skew him away from such a character makes Jason a huge lowpoint. You might say, “Well, it’s only a comedy,” but modern themes are put at the forefront of the film, and are a major contributor to it’s ‘humor’. Jason’s character further wastes the opportunity to create funny and relevant jokes. If I can muster up a positive, the film actually takes a solid, if brief and unimpressive stab at gender equality. Strikes Again has some of the most atrocious pacing I have ever seen and makes the movie incredibly annoying to watch. Whenever I see a rushed film, I feel robbed, knowing that the filmmakers put little effort into production. So much of the film’s problems are due to the pacing, thin characters, the rubbish script, the unrefined stakes, and the Saturday Night Live skit-like conversations that feel more at place in a Mr. Bean episode. The movie zooms straight past any opportunity to make a well thought out spoof, and decides to stick to the commercially safe bet. Russian spy character Ophelia, is someone that was absolutely humiliated by it’s rushed nature. There is no time for her to build a solid personality, let alone tell any off-the-bat jokes. Ophelia’s inclusion is one of the biggest factors contributing to the film’s tendency to move away from being a spoof, and just reciting previous Johnny English tropes. At only the third film, this franchise already feels like it’s making sequels in the trend of the Halloween films. Even die hard fans of the series may turn their noses at the lack of new material. Johnny English Strikes Again is a technical and visual mess. Even though it is reasonably well shot, it fatally falls victim to one element, and that flies over most people’s radars: the editing. Entire movies are ruined by such a brisked-over detail, and unfortunately this is one of them. Many jarring cuts are present during scenes where there is a lot of movement. The film’s numerous car chases are a perfect example. Cuts are made at unnecessary moments, as if trying to cover up a mistake. Even during relatively low-intensity scenes, the editing cannot keep the horrific pacing from being noticeable to everyone. Product placements are abundant throughout, but better managed than a lot of other films. Car brands are prominent in many situations, but are never directly mentioned. The products themselves don’t feel out of place either, and fit neatly into scenes. Nevertheless, it is obvious of their inclusion, and some products are blatantly praised. Strikes Again is a cash grab that delivers exactly what the other two films delivered. You can judge whether that is praise or not by my final score.